I love the location! Steps aways from Metro, Movie Theatre, Shopping Malls and Restaurants. The staff was very welcoming. Every time we came into the hotel we were greeted with a smile and asked if we needed anything. They knew the area and were able to recommend places to go. Excellent location, clean, I could login with my Netflix account to the TV which my kids loved and the room was well equipped. Staff is so friendly and room is so quiet and comfortable. Kitchen is small but you can get everything you want. Definitely will book here next time. It was an awesome stay, it was the most comfortable stay I had. Thank you very much. Breakfast (not included in the price) in the restaurant was perfect. Comfortable and nice. Close to the airport. Friendly desk employees. Good location. Room slept 5 comfortably. Beds were very comfy. We loved the space for the studio. Kitchen utensils were adequate. Parking was convenient although tight space and low ceiling. But for $25 a night with in & out facility, and close to the hotel, this works for us a family with 3 small kids. 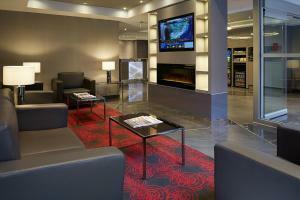 Lock in a great price for Residence Inn by Marriott Montréal Downtown – rated 8.9 by recent guests! 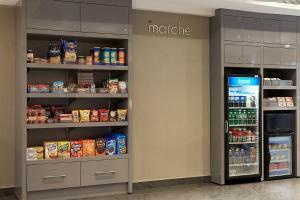 Residence Inn by Marriott Montréal Downtown This rating is a reflection of how the property compares to the industry standard when it comes to price, facilities and services available. It's based on a self-evaluation by the property. Use this rating to help choose your stay! 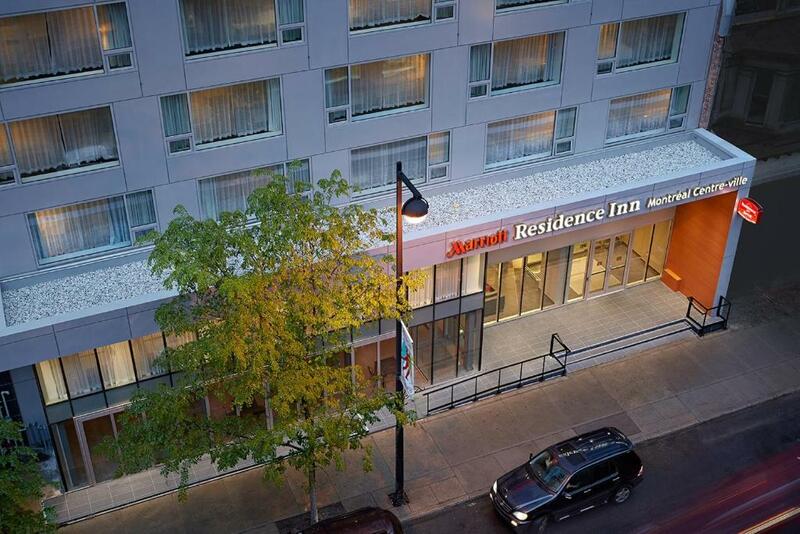 One of our top picks in Montreal.Located in Montreal city center, Residence Inn by Marriott Montreal Downtown is 15 minutes’ walk from an array of shops and restaurants. It offers suites with a kitchen and free WiFi. 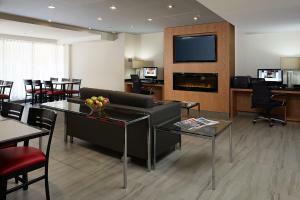 Every suite at the Residence Inn Montreal Downtown includes a living area, a dining area and a full kitchen. A 49-inch flat-screen TV with pay-per-view movies is available in the suites. The kitchens feature an oven, refrigerator, and a microwave. The pet-friendly hotel features an on-site fitness center and laundry facilities. McGill University and the Mont-Royal Park are a short walk from the hotel. The Montreal – Pierre Elliot Trudeau International Airport is 20 minutes away by car. 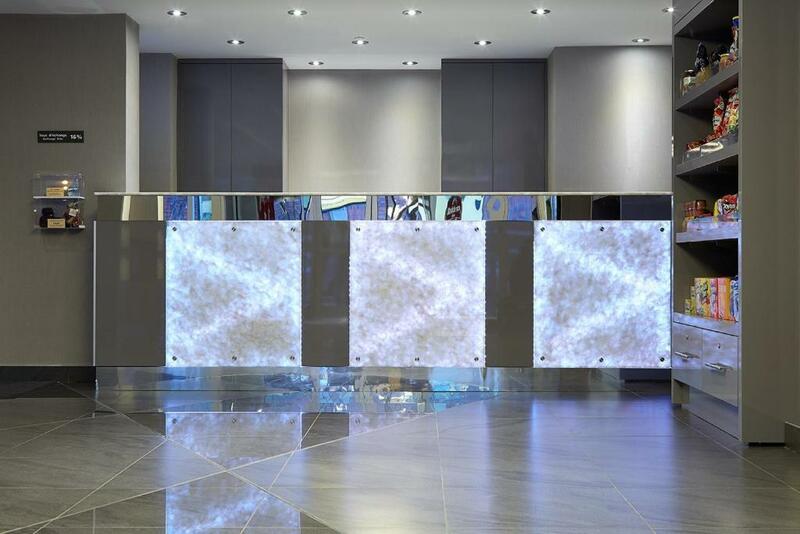 뀐 Located in the real heart of Montreal, this property has an excellent location score of 9.4! When would you like to stay at Residence Inn by Marriott Montréal Downtown? This studio features a complete kitchen, a 37-inch flat-screen cable TV, and a sofa bed. Public parking is available at a location nearby (reservation is not needed) and costs CAD 30 per day. This spacious suite features a separate living area with a complete kitchen, a 37-inch flat-screen cable TV, and a sofa bed. This studio features a kitchen and a flat-screen TV with a DVD player. 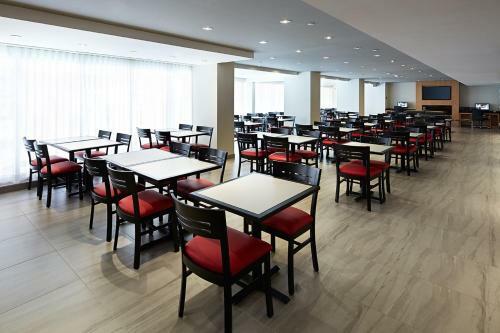 Residence Inn offers a Montreal, Canada hotel in the heart of downtown boasting suites with fully equipped kitchens, stylish furnishings and free wireless high-speed internet. Our downtown Montreal hotel also offers a complimentary daily breakfast buffet. House Rules Residence Inn by Marriott Montréal Downtown takes special requests – add in the next step! Any additional older children or adults are charged CAD 24 per person per night when using existing beds. 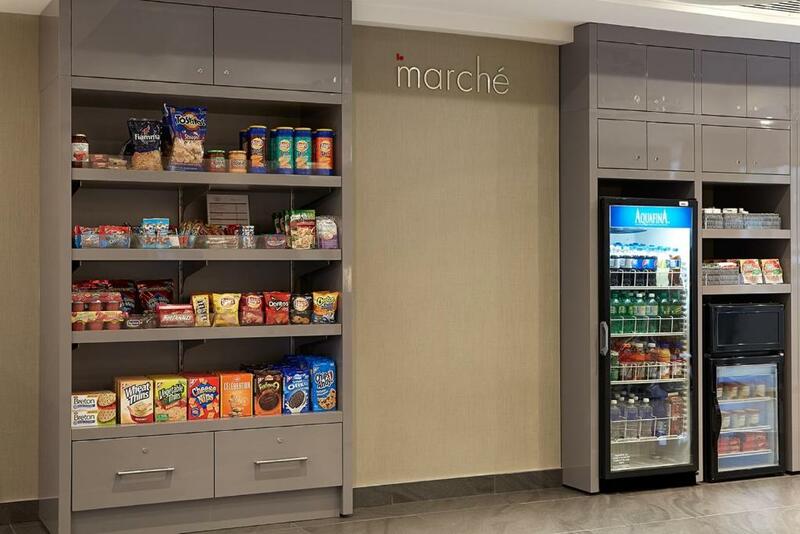 Residence Inn by Marriott Montréal Downtown accepts these cards and reserves the right to temporarily hold an amount prior to arrival. 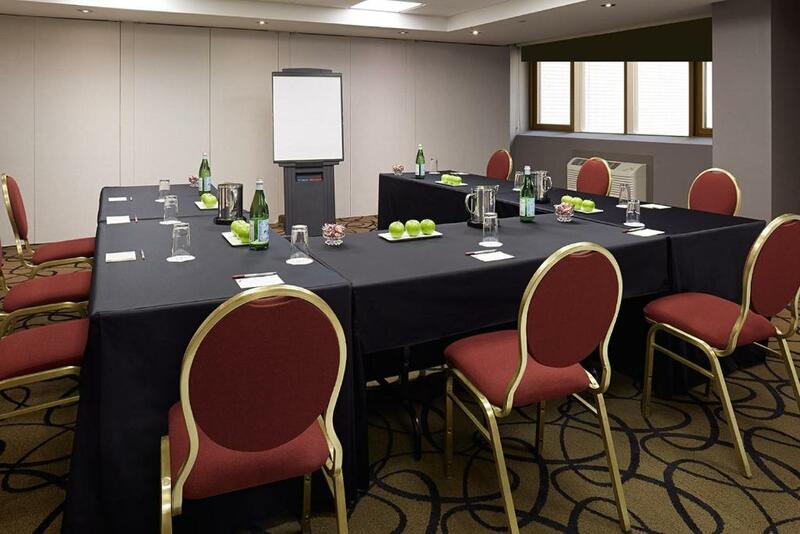 Great location, right downtown on top of subway station. Lots of restaraunts and bars within 2 blocks. Staff are super nice! Fantastic breakfast. The room was very clean, the bed was very comfortable and the breakfast was excellent (much more than an average continental breakfast). Parking is little off site. With ice on sidewalks a bit more inconvenient. Normally would not be an issue. We thought all the staff were exceptionally friendly and helpful. We loved the lay out of our room. A kitchenette is very handy, although we did not use it on this trip. Amazing breakfast! Great variety of food. 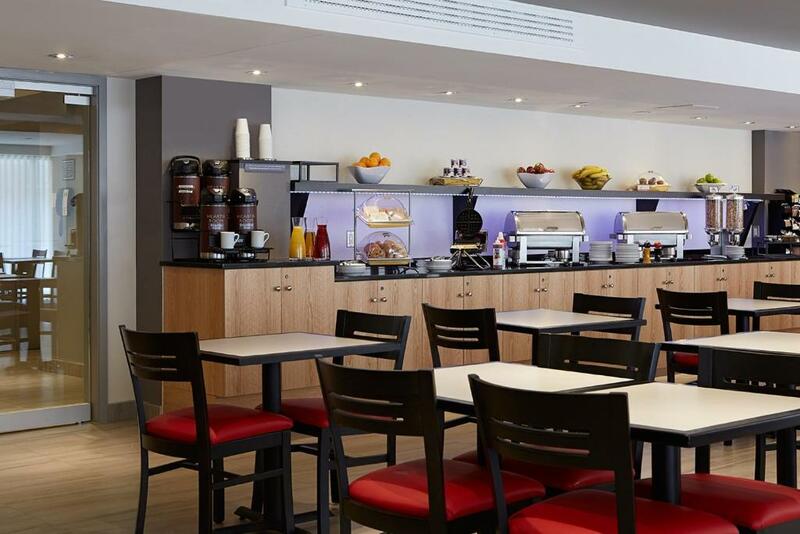 Well presented, very clean and a courteous staff handling a large breakfast crowd. The cost after check in? Booking.com said 368 cad when i paid was 457 cad. Lot of add ons not good . Fantastic location, nice free breakfast, great rooms. It's definitely the staff that makes it shine, though. Accommodating and friendly. They get to know who you are if you're there for more than a night. Friendly staffs and comfortable beds with a delicious breakfast. excellent location - minute walk to train station and very close to shops. Kitchen is well equipped. Breakfast only until 9:30, little too early especially when you are on vacation and go to bed late. Large room with kitchen, didn't need it really, but was well equipped. Definitely good to stay there for some days. Location quite central in modern downtown, metro station Peel just a few steps away, And with a 30 minute walk you reach the top of Mount Royal. Breakfast included, we were positively surprised about the offered variety, even though breakfast room was quite busy. The room configuration could have been better. The sofa was next to the TV so we had to move it to be able to watch. A little more thought into configuring rooms would be nice.